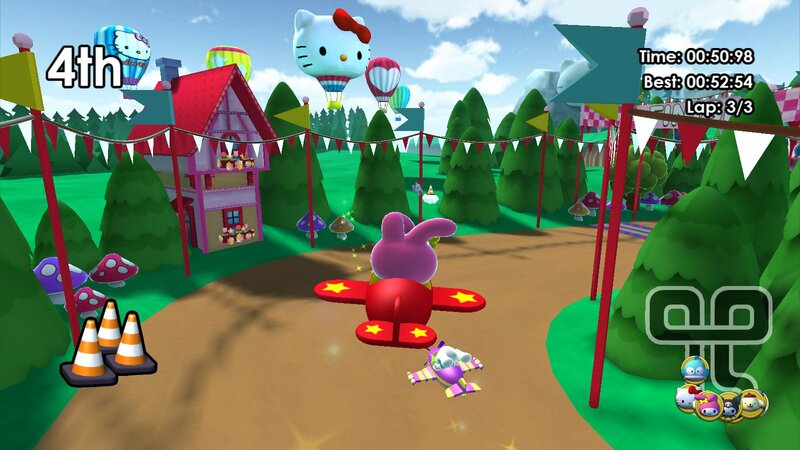 Race with Hello Kitty & her Sanrio friends over Land, Sea, & Air! 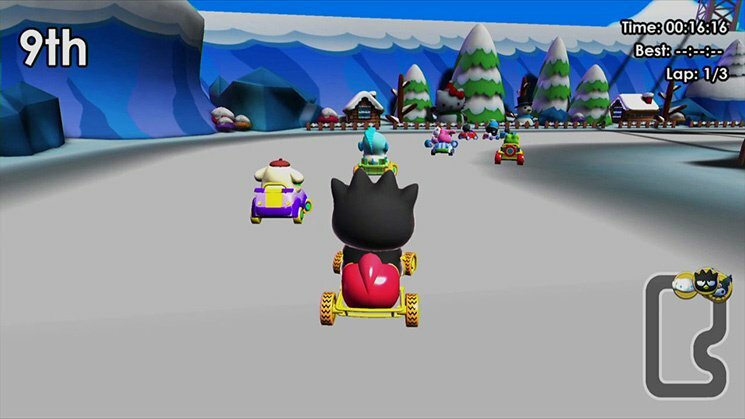 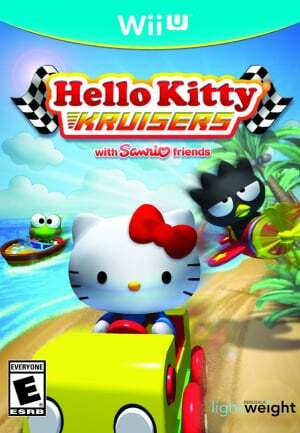 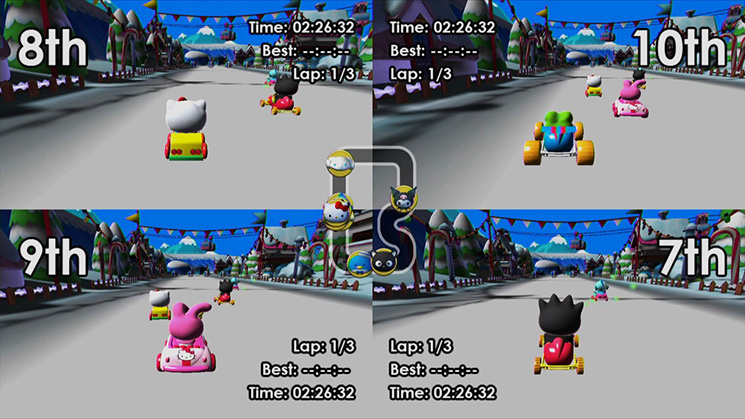 The World famous & incredibly popular Hello Kitty is back and starring in an all new, 3-D, racing game. 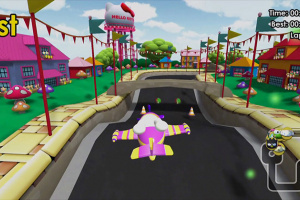 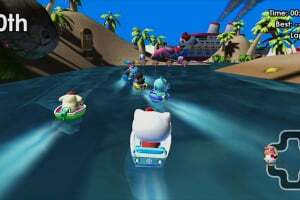 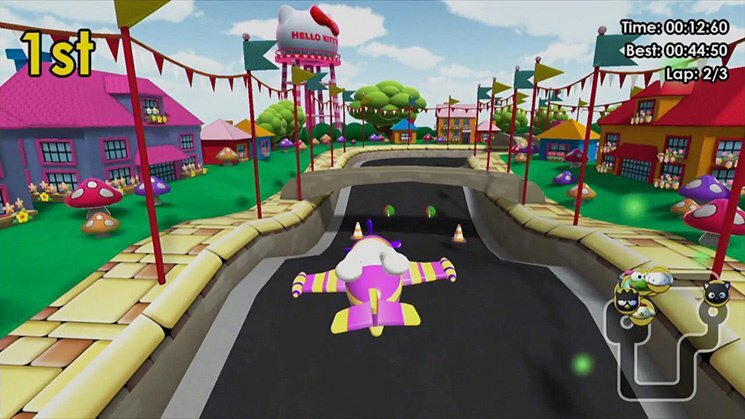 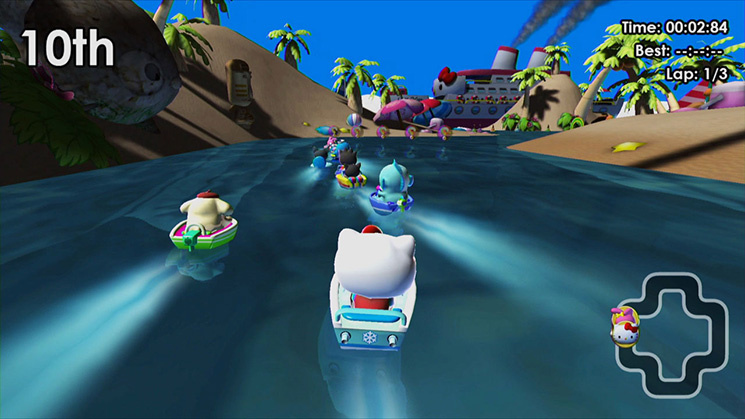 Join Hello Kitty and her Sanrio friends as they race On Land, Through Air, and Over Water. 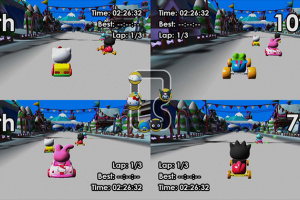 Race by yourself or with up to 3 of your friends. 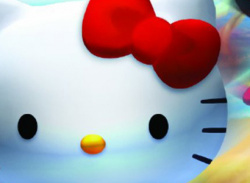 Unlock new outfits and vehicles for Hello Kitty and her Sanrio Friends. 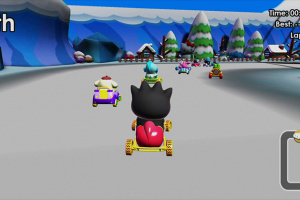 Challenge your racing skills in the all new Adventure Mode! 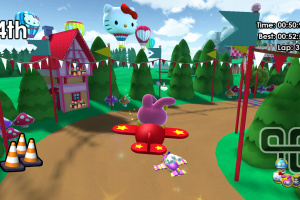 This is what happens when Mario forgot to take off his catsuit..
What's funny about the developer: Its creative partner is Jools Watsham who is from Renegade Kid!